It was amazing evening at St. Vincent College for the annual Homeschool Science Fair. The kids entered on teams from LMCA. Margaret's team's project was about teeth whitening. James's team's project was about implosion. Henry's team's project was about glow sticks. Henry's team won Best Overall in his age group. 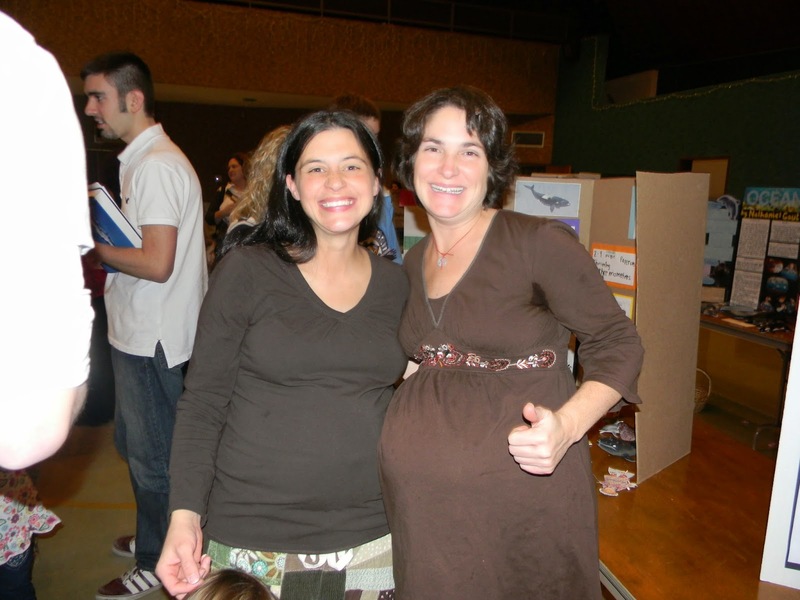 Remember the second science fair (2011) when Becky and I took this photo? Well look at these cuties now! After the science fair we all enjoyed pizza with Miss Diane (not pictured).